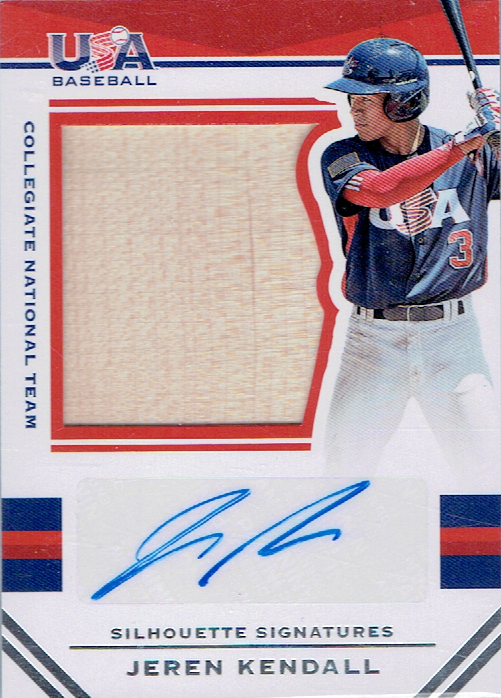 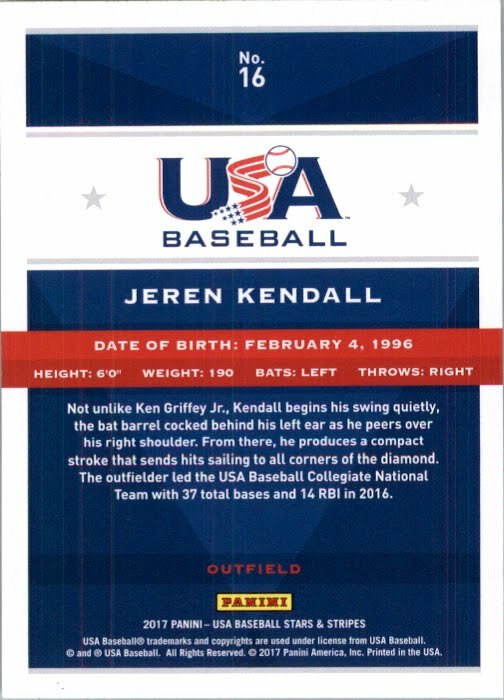 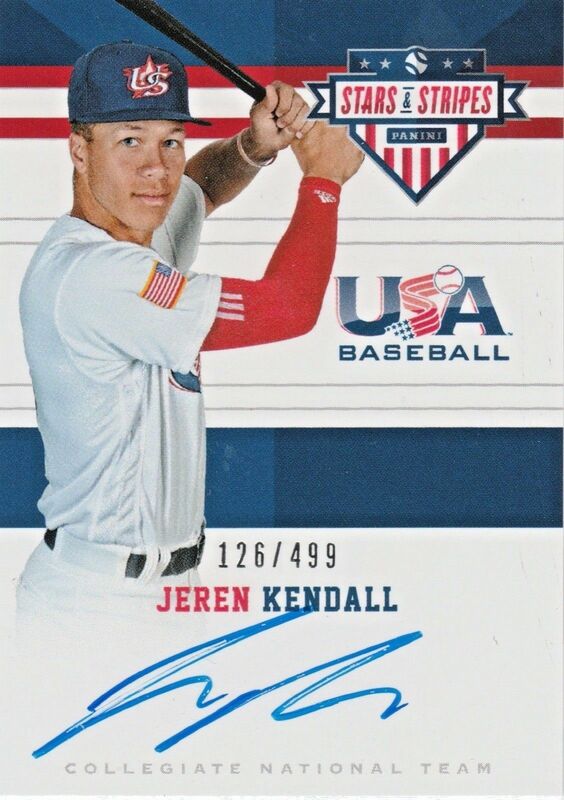 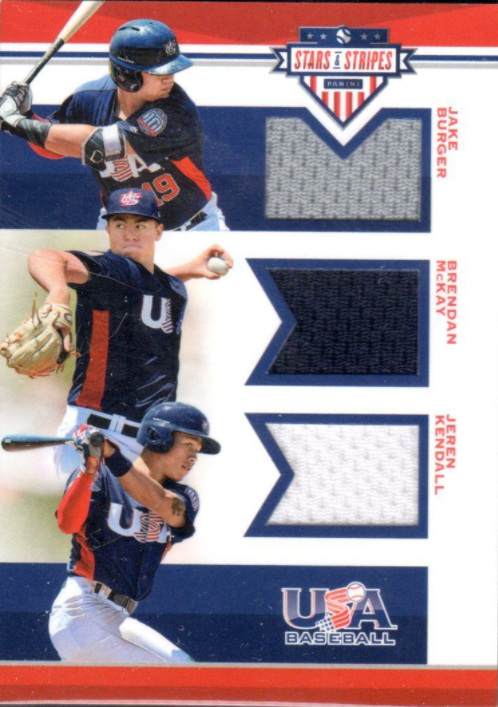 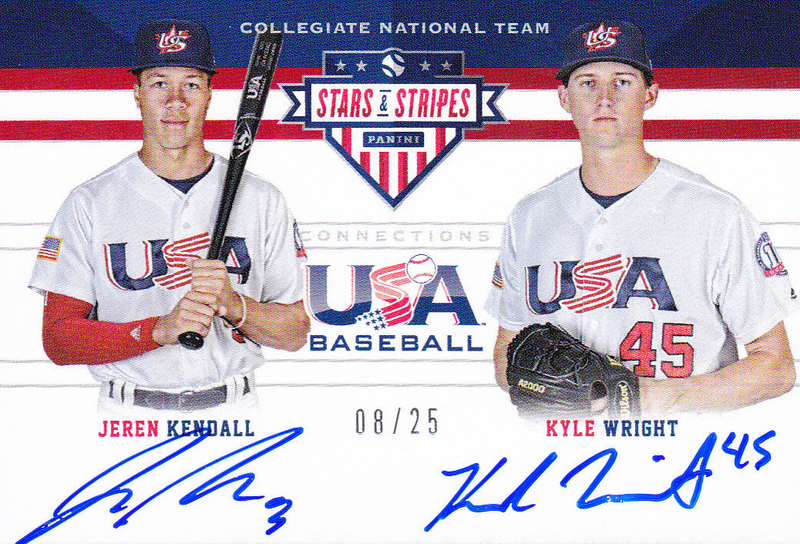 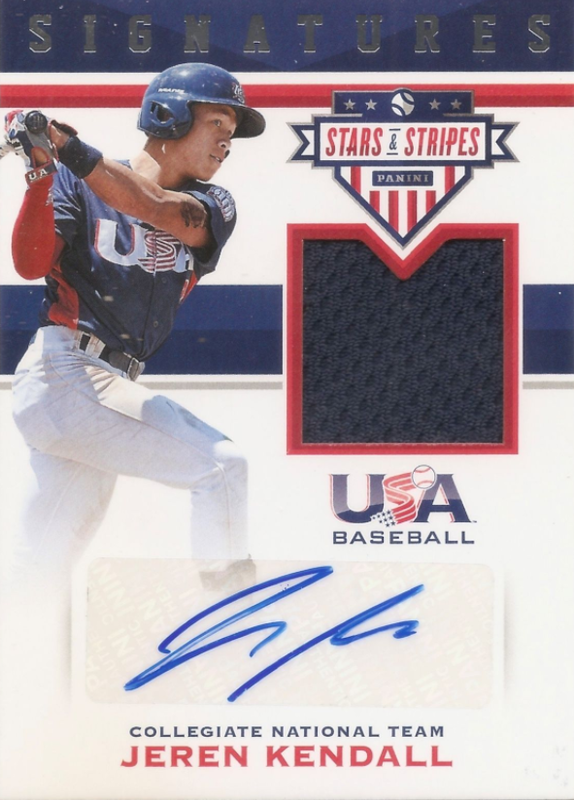 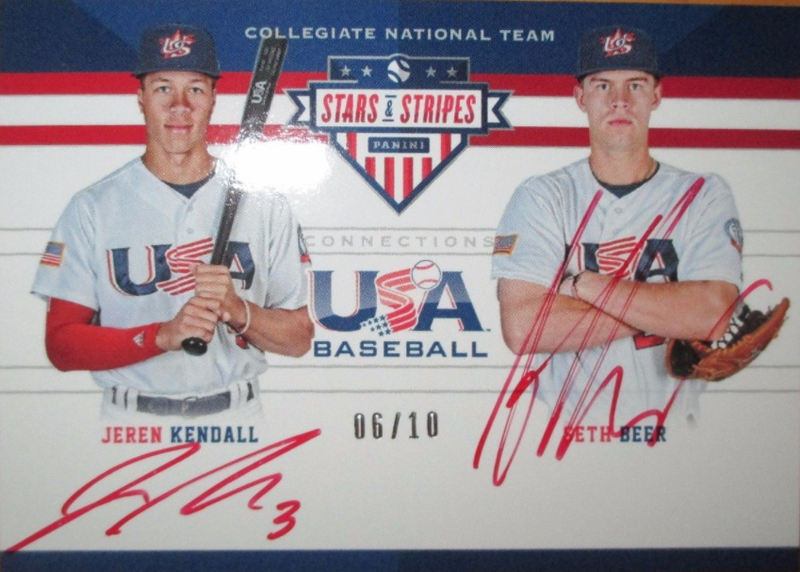 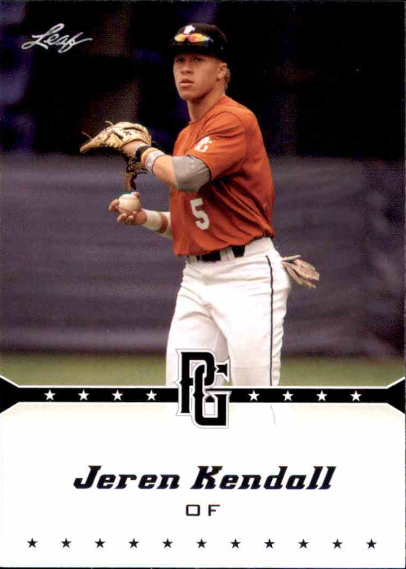 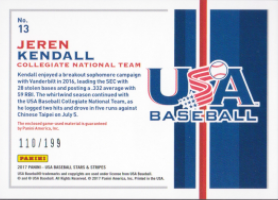 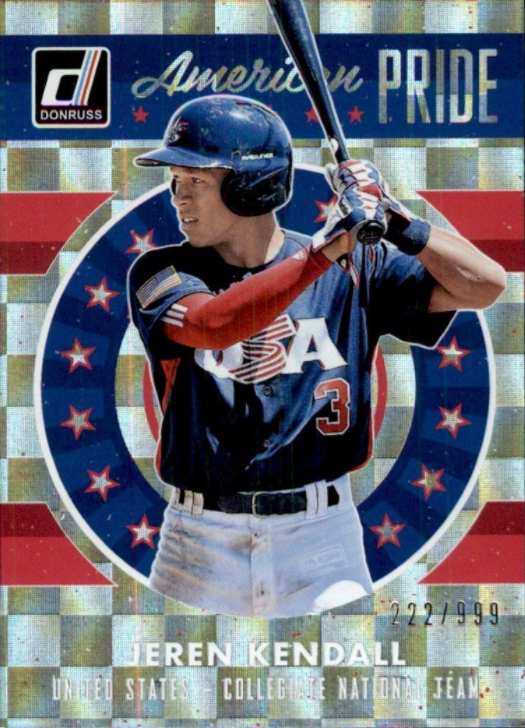 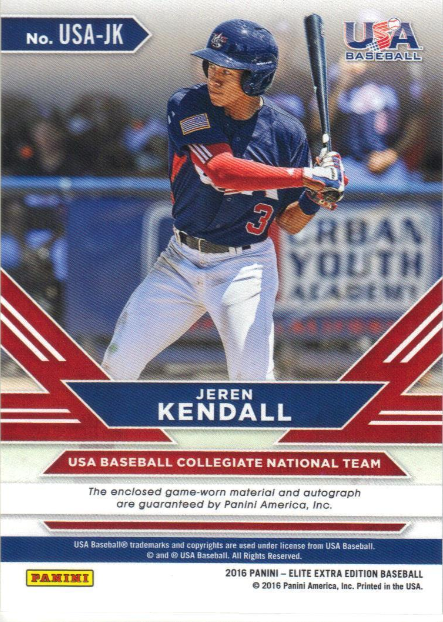 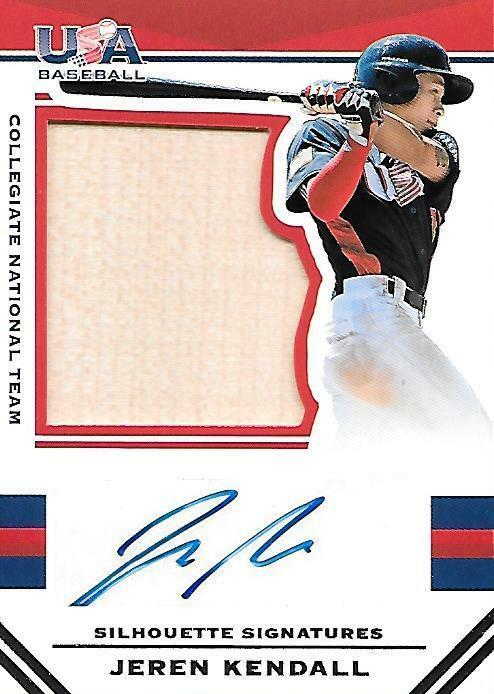 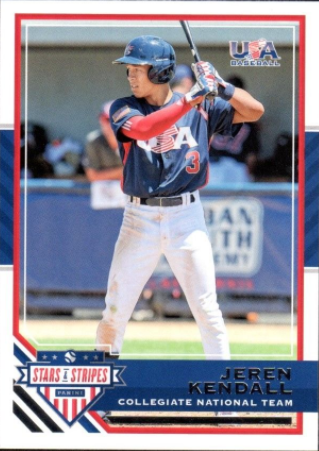 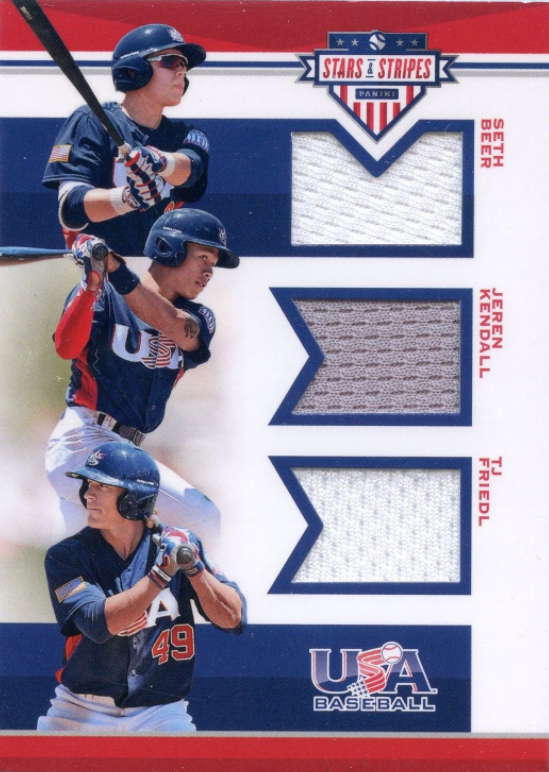 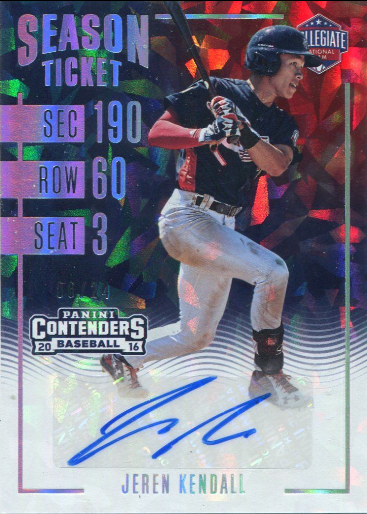 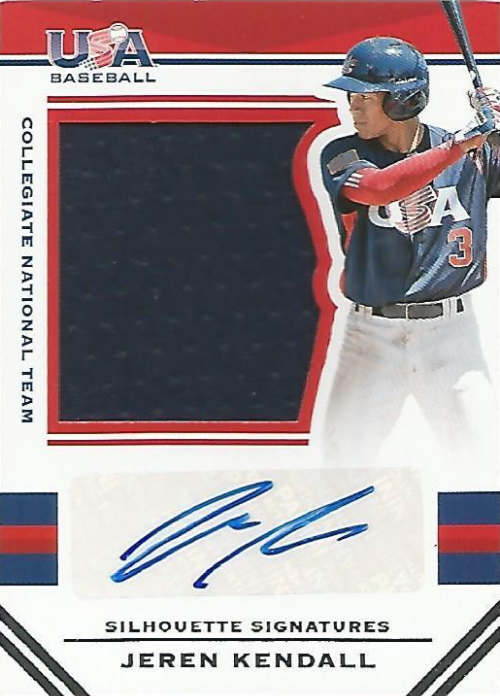 As member of the Team USA Collegiate Baseball team it is no surprise that the Dodgers 2017 first round pick, Jeren Kendall, already has a bunch of cards for fans and collectors to chase after. 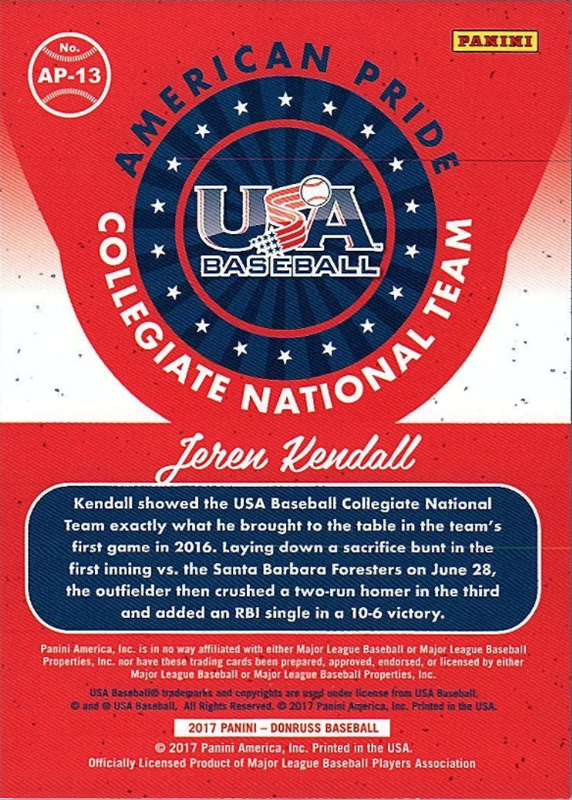 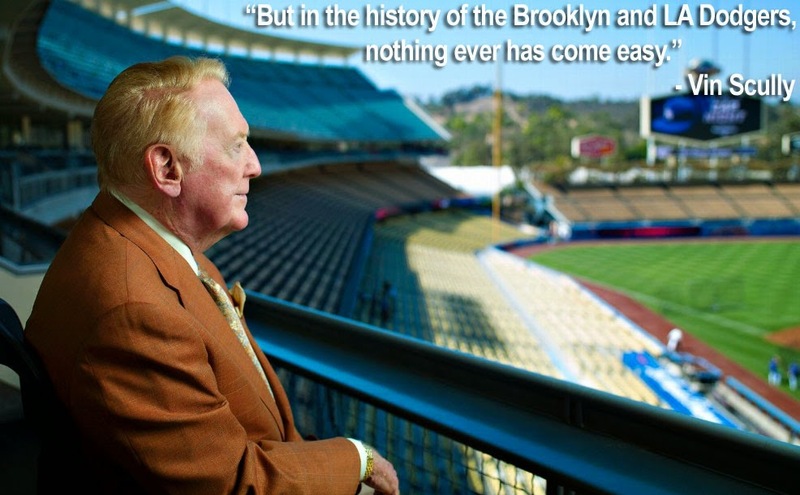 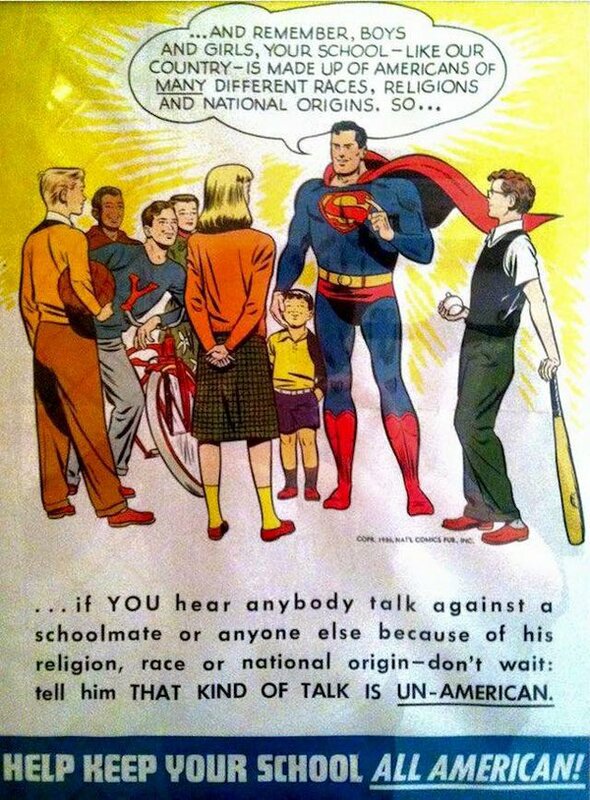 What I was surprised to find out is that he also has a couple cards from when he was just an high school prep star. 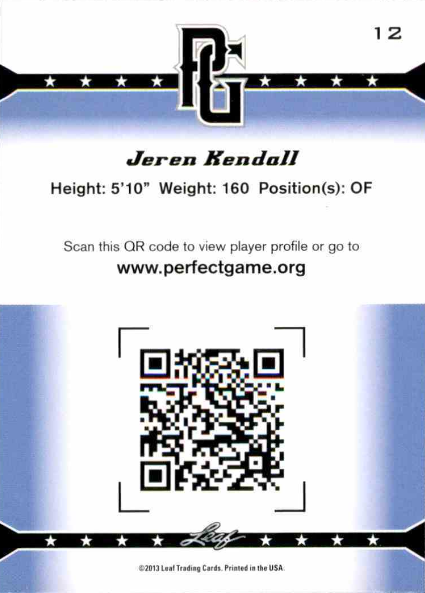 Featured below are all of the various cards issued for Jeren Kendal, and to start things off I share pics of a pair of 2013 Leaf Perfect Game cards. 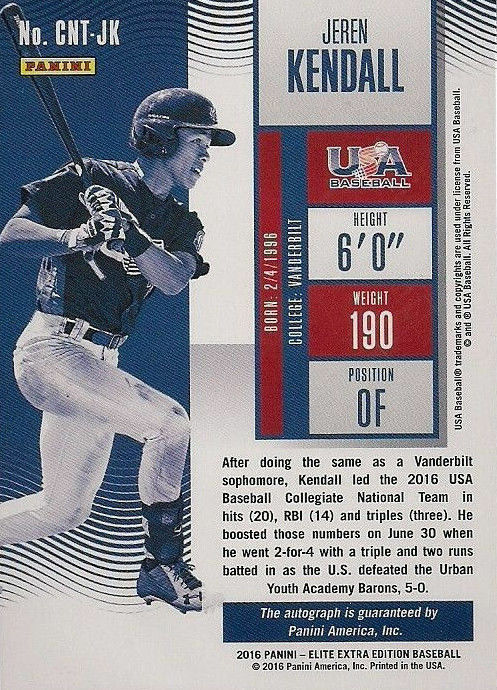 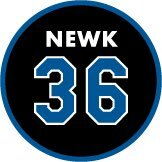 As you may know, this set was an inaugural issue that features the top 300 high school players in the country from an Perfect Game National Showcase event. 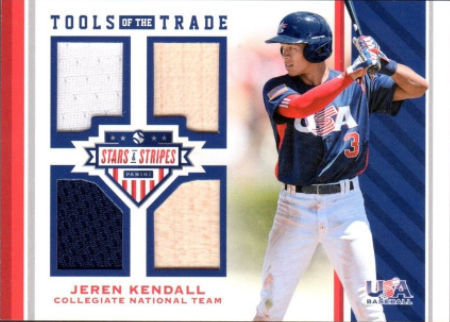 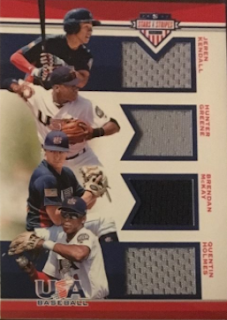 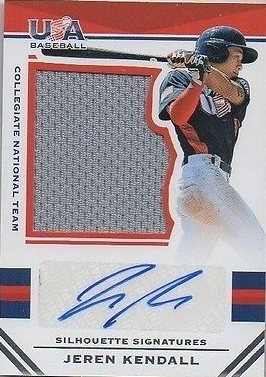 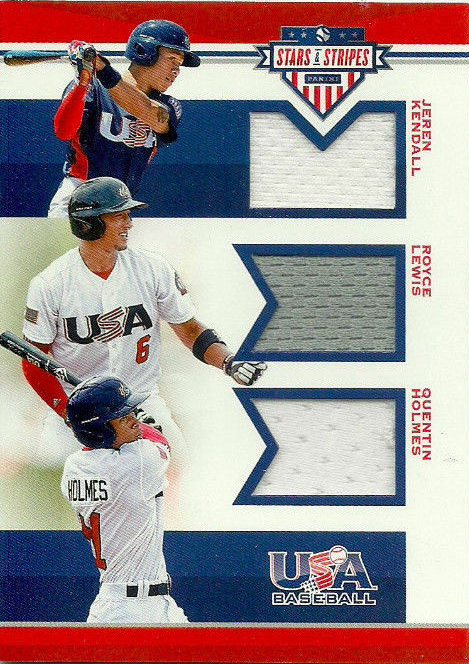 Following that are a bunch of Panini cards featuring Kendall in a Team USA jersey.